Betrayed by king and country, the life of a nobleman is a distant memory for Captain Stone. All the man needed in life was wine, wenches and song between skirmishes with sovereign ships, which resulted in riches and many soiled britches, to inconvenience England. That is until he met his alluring new captive. Magdelena de Monterroso had expected to be swept away on her wedding night in a pair of big strong arms. 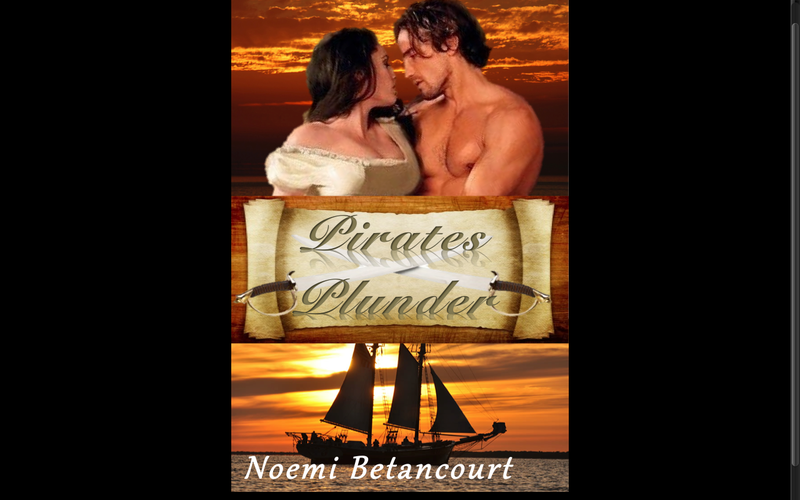 What she didn’t expect was those arms to belong to pirates raiding the lands of her new husband! Enslaved aboard the Devil’s Pride, Magdelena refuses to give her captors the satisfaction of seeing her fear. However, she finds the pirates, led by the smoldering Captain Stone, are not the vicious bloodthirsty mob she took them for and soon the young bride’s urgency to return to San Sebastian is fueled by something altogether different.